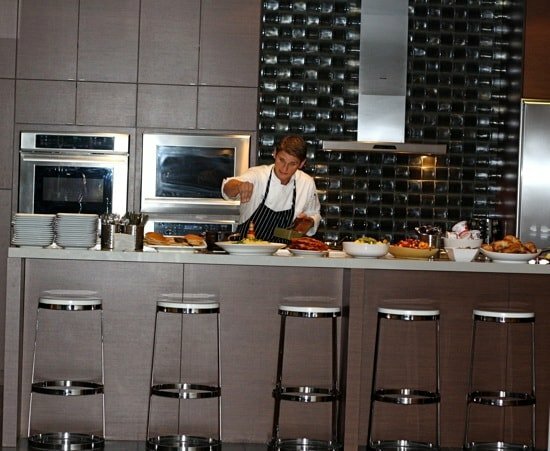 Last week I was fortunate enough to attend Thermador’s “Now You’re (Steam) Cooking” blogging event in Scottsdale, Arizona. 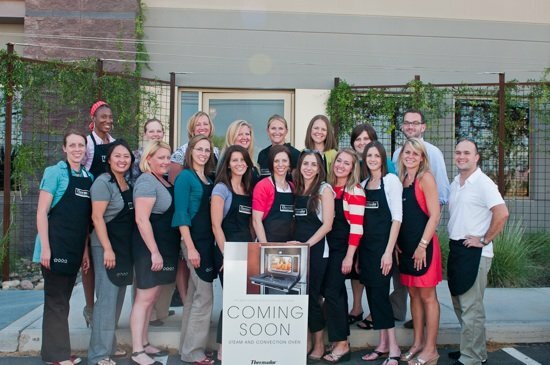 I was honored to be one of 20 bloggers invited to view the unveiling of Thermador’s new Steam and Convection Oven. We spent an entire day at the Thermador Gallery & Training Center where we learned about the Thermador’s history, brand, and products. Food was definitely a focus on this trip-we did a lot of eating:) I am sharing the most amazing recipe for creme brulee at the end of the post-so hang in there. First, I want to share some of the highlights of my trip. When we arrived at the training center, we took a brief tour of the facility. I lost count after seeing five kitchens, they were all beautiful! The Thermador chefs prepared a delicious breakfast for all of us. They laid out quite the spread-whole grain pancakes with buttermilk syrup, quinoa fruit salad, eggs, bacon, pastries, yogurt/granola, and juice. The pancakes were heavenly-a great way to start the day. Next, we learned about the history of Thermador-did you know Julia Child and Alice from the Brady Bunch used Thermador? Nice, huh? We also had some time to get our hands dirty in the kitchen and test out Thermador’s appliances first hand. I am in love with Thermador’s legendary Star Burners. I love the big, powerful Star Burner in the center of the range. Very nice! We had fun helping Chef Brad and Chef Kyle prepare our lunch. I don’t think they have ever seen so many cameras in a kitchen before:) And of course the lunch spread was fantastic-sun dried tomato rolls, goat cheese strawberry salad, orzo pasta salad, roasted vegetables, salmon wellington…and the list goes on and on. Everything on the menu was super tasty. For dessert, we had Chef Kyle’s outstanding creme brulee. Mmmmm! Luxury segment’s first pre-programmed oven to combine three distinct cooking solutions — steam, convection and a combination of the two. Multiple dishes can be cooked at the same time without the risk of flavor transfer or the need for temperature or time adjustment. 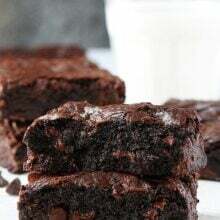 Steam/Convection Oven is great for defrosting and reheating. 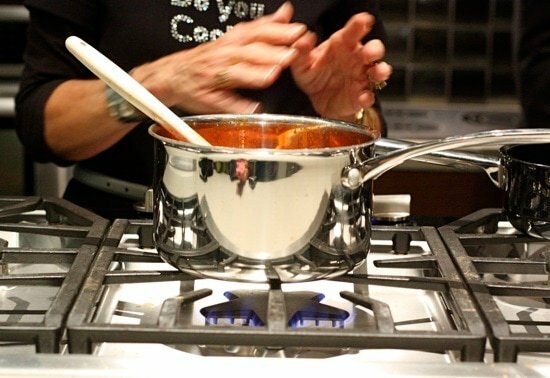 Steam cooking is healthier-locks in moisture, vitamins and minerals. 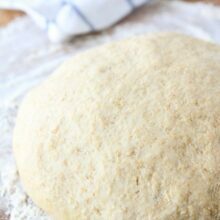 You can make homemade soft pretzels and bagels without boiling them-just steam them! Love this feature! 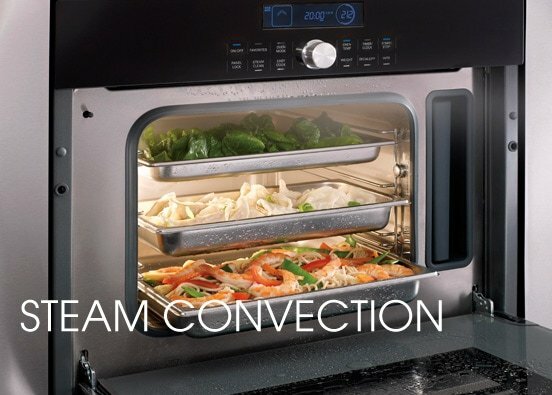 The Steam/Convection is not a full size oven, but can hold up to a 14 lb. turkey. I am hoping Thermador will launch a full size oven someday:) It is a great secondary oven though. I would love to have one in our kitchen. Actually, I would love to have all of Thermador’s appliances in our kitchen, they are amazing! It was fun being able to test them all out. Thank you Thermador for hosting a wonderful event. I had wonderful time from start to finish. Now, finally time for the creme brulee recipe I promised. I am not usually a creme brulee fan-it is a texture/eggy thing, but I loved this creme brulee. It was velvety, smooth, and had a rich vanilla bean flavor. 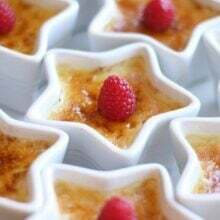 I also loved sugary crust and the cute little star dishes:) Thanks Chef Kyle for sharing your creme brulee recipe-it is the best! Katie, from Good Life Eats, attended the trip and recently recreated the Goat Cheese Strawberry salad. 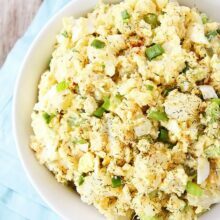 She used Atheno’s Feta cheese-check out the recipe. I am making this salad this week! 1. Heat cream over medium heat until warm. 2. Mix eggs and sugar together with cream, beat together until white paste. 3. Slowly temper in the cream, making sure not to scramble eggs. 4. Pour into 4- to 6-ounce ramekins, set inside water bath in oven, bake on 325 degrees for 45 minutes. 5. Once done and cooled, sprinkle with Turbinado sugar (sugar in the raw), and use blow torch. WOW! You are attending so many amazing events lately. I= jealous 😉 Glad you had fun. The star burner is very cool and I love the idea of steam cooking. Those stars are so cute and what a tasty dessert. This sounds like SUCH an awesome event! So many of my favorite bloggers all in one place! And ugh creme brulee. The best dessert on earth, I’m convinced. I love your star ramekins. What a fabulous way to spend a day, lucky you!! 🙂 Those little star dishes are awesome, thanks for sharing that recipe! I absolutely love creme brulee. YUM! Looks like you all had a fantastic time. Great photos! Sounds like you had a fun day! Looks like a fun trip!! I didn’t even know you went to Scottsdale! You’ll have to tell me more about it later. What a fun trip. I see Brooke was there too. I’d love an oven that does all these things. And I’ll eat creme brulee any day of the week. Loved this creme brulee recipe! One of the best I’ve ever eaten! It was so great to meet you in Scottsdale…great recap post! Looking forward to keeping up with you and trying your yummy recipes! I love those star dishes! So cute! Where in the world did you get those adorable star-shaped ramekins??? They’re awesome! They are Thermador’s ramekins, but they said they bought them from Sur La Table. What a fun day! I love creme brulee and I LOVE those ramekins. cookbook giveaway. spread the word, please. 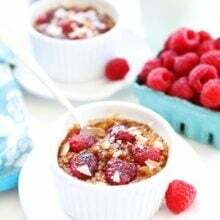 I just adore creme brulee and I love the little ramekins! Looks like a great event! Sounds like a fun trip. I love your little star dishes. I love creme brulee-but it has to be the right consistency. I understand that whole texture/eggy-thing! Sounds like fun! I love the little star dishes. That creme brulee looks great! Creme Brulee is one of my favorite desserts! The creme brulee looks gorgeous!! Creme brulee with 3 cups of sugar?? Are we sure this is not 1/3 cup of sugar? It is three cups. The ration is right for 32 ounces of cream. It was great finally getting a chance to meet you in person and a wonderful event overall! The crème brûlée was fantastic. That creme brulee looks amazing! I love reading about this event on the blogs and now I really want a lot of money so I can have one of those ovens! ha. Loving the star ramekins too! I love Creme Brulee. Preparing them in these star dishes was such a great idea! What a great event! It looks like a wonderful event and the oven sounds like it could work magic on almost anything! How fun! You’ve been very fortunate to be able to attend all these functions. Thanks for sharing the creme brulee recipe. I’ve long wanted to try making it. This is obviously the recipe to try if it turned a creme brulee hater into a creme brulee lover. 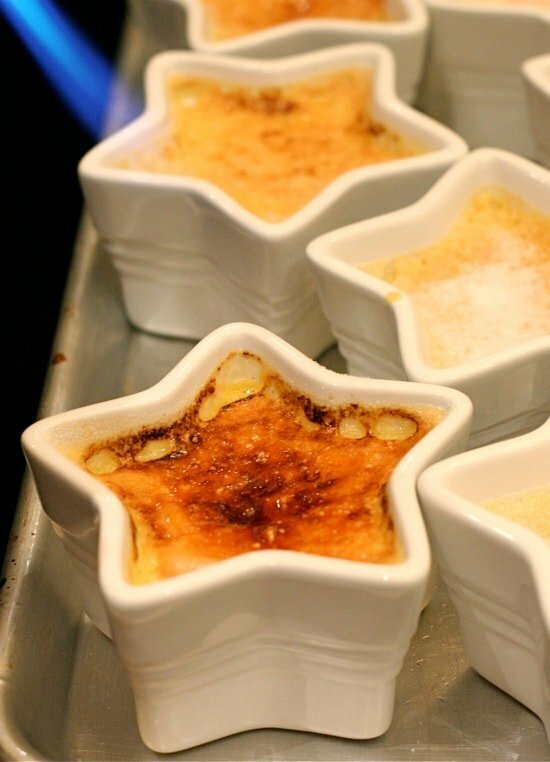 Such adorable star ramekins! This event sounded like a blast! how fun! Thermador really rolled out the red carpet for you guys! Beautiful! What a fun trip you got to do. I am very interested in the steam oven… seems odd, but awesome. The new oven sounds really good! Have to look out for that in the future. Looks like a fun trip… I have some serious kitchen envy now, too! Love that recipe for creme brulee… It’s one of my favorite desserts, but I rarely make it. Might have to change that now! Sounds worthwhile to attend the event if only for that scrumptious breakfast. Now I have got to find a quinoa fruit salad recipe of my own so I can try it out. And if both Alice and Julia recommend the Thermador, then it comes highly recommended indeed. i love your ramekins, maria! Lucky lady! It sounds like you guys had a terrific time. I’m with you – not usually a big creme brulee fan but this looks wonderful. The star dishes are to die for! We were intrigued by the Thermador but ended up a different way, even though those burners seemed great. Looks like a great trip. Love the recap of your trip to Scottsdale, and I LOVE creme brulee, yours looks fabulous! love creme brulee! Those ramekins are too cute. Why in the world would you cook the custard in a water bath and dry heat, when you have a steam oven? Try 180F at full steam for 40 minutes. I just built a Thermador kitchen in Tucson AZ. I would like to take a thermadore cooking class, how do I find one in the area? Three CUPS of sugar? I tried this recipe and it was a disaster. Seems the ratio of cream/sugar/yolks is wayyyy off. It was awful.